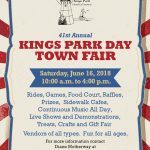 The Kings Park Chamber of Commerce will be hosting the 41st annual Kings Park Day on Saturday, June 16th, located on Main Street & Indian Head Road in Kings Park. The festival will feature fun for the entire family including rides, games, food, live shows and demonstrations, crafts and gift fair, and continuous music all day. 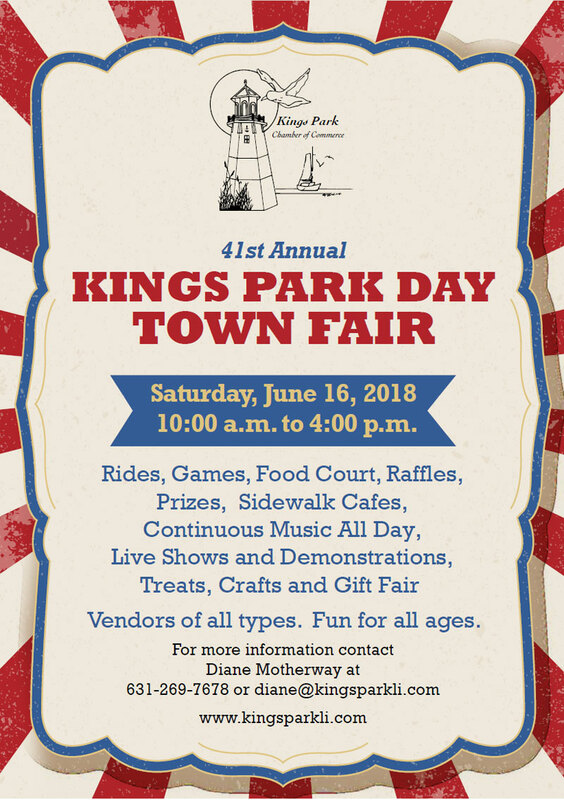 Several applications for food, craft, business vendors as well as sponsorship info can be found at the Kings Park website under the News & Events – Kings Park Day tab.